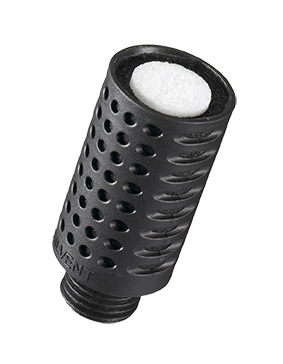 SILVENT SIS-10: Silvent's safety silencers are designed to handle sensitive systems with large flows that require minimal flow restriction. 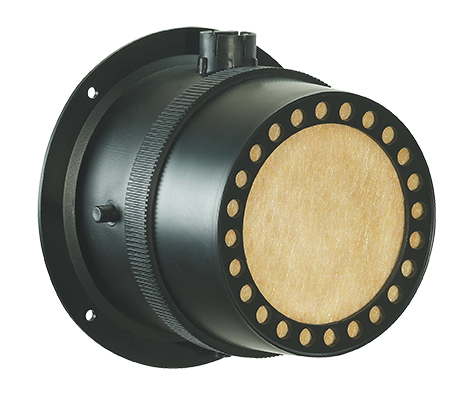 The silencers are compact in size, provide extremely effective noise suppression and feature a built-in warning indicator that immediately shows any increase of backpressure in the system. 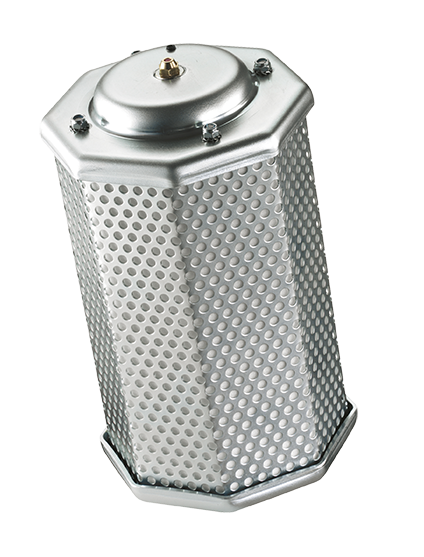 The unique filter material is divided into numerous "noise traps" or cells and gives extremely good muffling with minimal flow restriction. These safety silencers are also suitable for continuous flow applications and can be used as a central silencer for several pneumatic valves. They have a built-in oil trap where oil can be separated and drained. The silencers are available in two sizes, 1 inch and 2 inch, and reduce noise levels 40-45 dB(A). 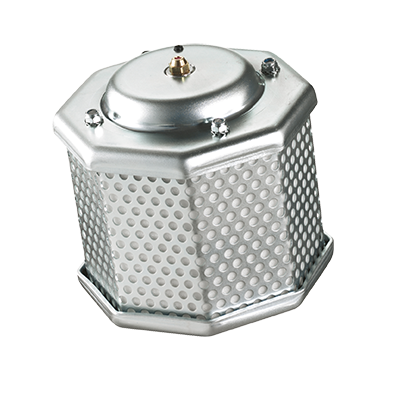 They are supplied with a mounting bracket.